Will Marvel's Nightwatch Appear In Sony's Spider-Man: Homecoming Movie? 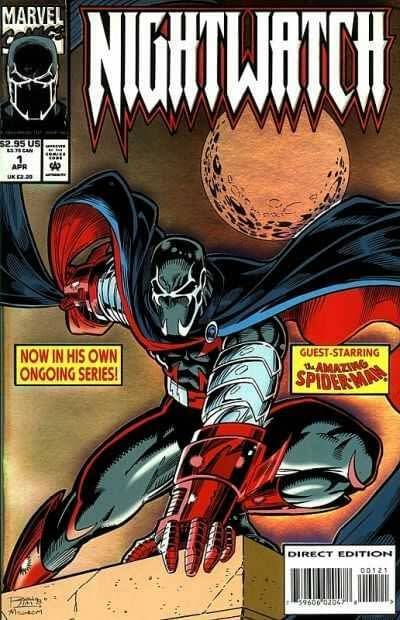 Home » Film » Will Marvel’s Nightwatch Appear In Sony’s Spider-Man: Homecoming Movie? Will Marvel’s Nightwatch Appear In Sony’s Spider-Man: Homecoming Movie? But because the character originated in the Spider-Man titles, he is part of Sony’s entourage of characters available to them for movies. And Bleeding Cool understands that as of last week, Sony employees have been taking a real interest in Nightwatch, buying up any and all comic books that feature the character. Thi kind of behaviour in the past has usually indicated that a character is planned for an upcoming movie and all the employees want to know everything they can about them, ahead of meetings, discussions, plans and merchandising strategies. Terry is currently involved with Angry Babies— a free upcoming digital game that his company, MyBeanJar, has created in conjunction with the Comic Book Legal Defense Fund, which features a number of exclusive pieces illustrated by notable comic book artists, with all proceeds going to the CBLDF.